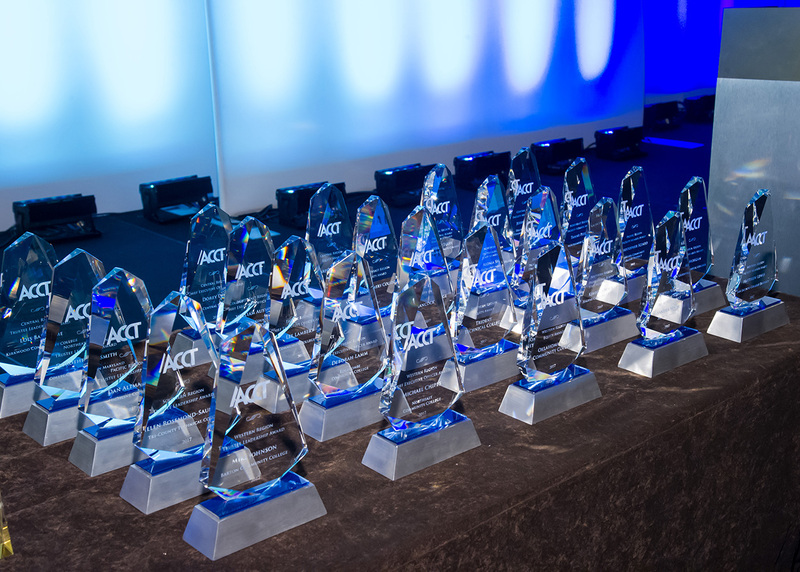 ACCT’s awards program is designed to recognize and honor outstanding community college trustees, equity programs, presidents, faculty members, and professional board staff members at regional and national levels. In order to be considered for an Association Award, you must first submit a nomination at the regional level Apply Online or Download the Form. The deadline to submit materials is June 10, 2019. The ACCT Board of Directors annually honors an individual who has made a significant contribution as a lay trustee toward promoting the community college concept. The award is named after one of ACCT’s pioneers and the third president of the association. M. Dale Ensign was a trustee for many years at Northwest Community College in Powell, Wyoming. He served as ACCT President while the move from the National Schools Boards Association was undertaken in 1972. He has lived a lifetime in the service of others. The ACCT Board of Directors thought it only fitting to honor him by naming the trustee award after him. This award recognizes exemplary commitment by a governing board or governing board and president of an ACCT member two-year postsecondary institution board or state board for two-year postsecondary institutions to achieve equity in the college’s education programs and services and in the administration and delivery of those programs and services. The award honors the late Charles Kennedy, a trustee of Joliet Junior College in Illinois, who was a founder of the ACCT Minority Affairs Assembly, which became the ACCT Diversity, Equity, & Inclusion Committee. ACCT annually takes the opportunity to recognize formally the tremendous contributions being made by community college chief executive officers. This formal recognition comes through the Chief Executive Officer Award. The award is named in honor of Marie Y. Martin, whose professional career epitomizes positive influence on the community college movement at all levels. Martin formerly served as director of the Community College Unit, U.S. Office of Education, and as a chief executive in the Los Angeles Community District. The Marie Y. Martin Chief Executive Officer Award is given by ACCT in recognition of chief executive officers who demonstrate commitment to excellence in advancing the community college movement. ACCT recognizes the central purpose of our community colleges is teaching and learning; and achievement of excellence in that purpose relates directly to the quality of our faculty. Therefore, ACCT annually presents its Faculty Member Award to say "thank you" to all faculty members. The award is named in honor of ACCT’s founding executive director, William H. Meardy, who championed the concept of faculty excellence as the foundation of success of the community college movement. The Professional Board Staff Member Award was first awarded in 2001 and is presented to any board staff member of an ACCT member two-year post-secondary institution or state system of two-year post-secondary institutions in recognition of exemplary service to boards.